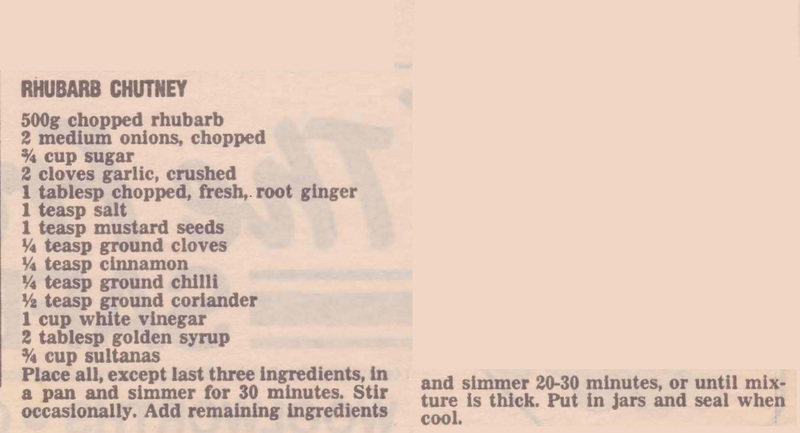 While rhubarb is not popular in my household it was in Mum’s. She made a lot of relishes and chutneys with the produce from Dad’s garden, although I’m not sure she made this one. 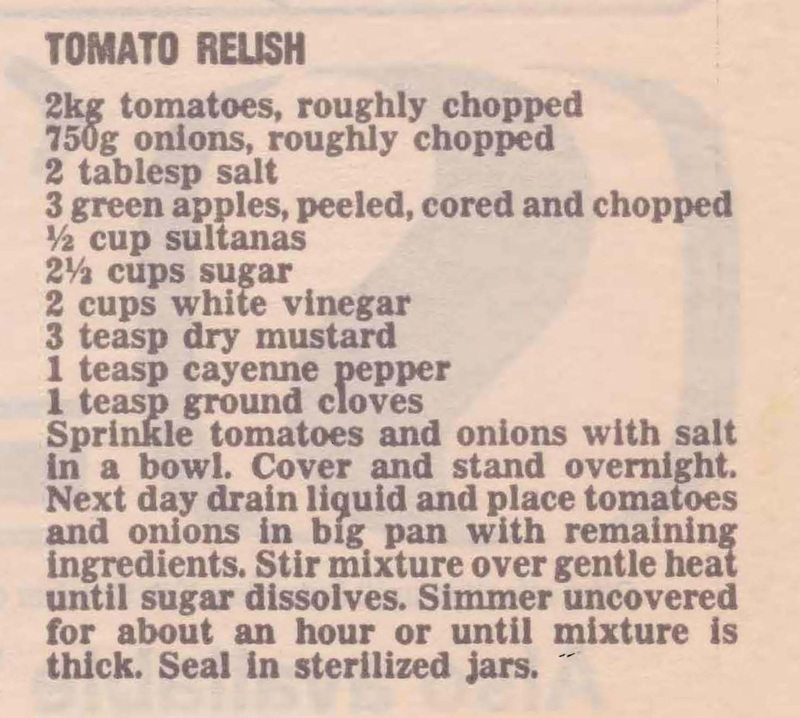 Personally I think making relishes and chutneys is much easier than jams as they don’t need to set. As long as you cook them until they’re thick they work really well. 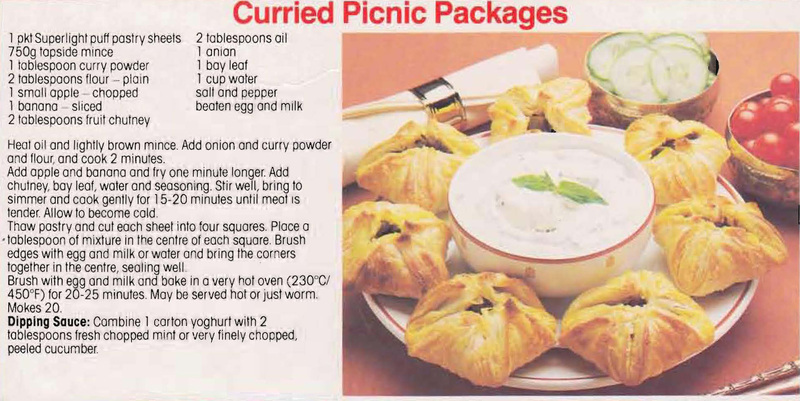 Among Mum’s recipe cutouts I found an article on Cheesecakes. 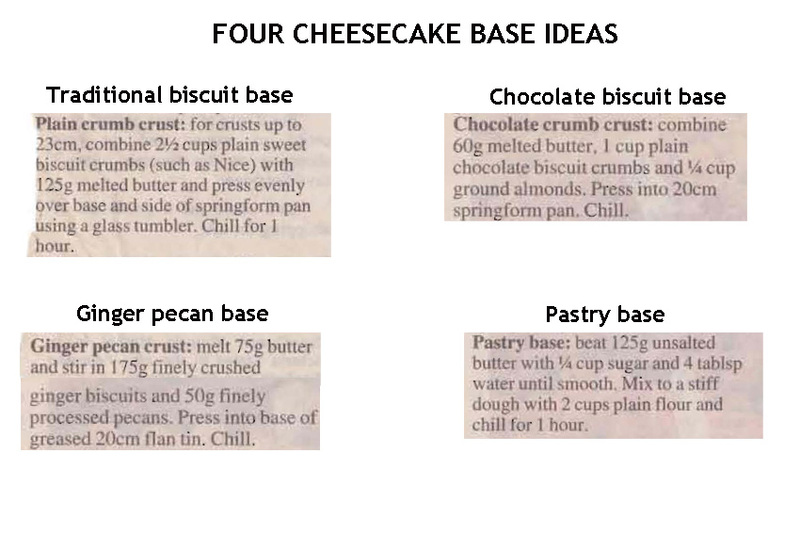 It has four different types of bases, unbaked cheesecake recipes and a basic baked cheesecake with several variations. I’ve divided the article up and these are baked cheesecake recipes. I like the idea of changing the basic cream cheese cheesecake by adding a few extra ingredients. The Sultana Ricotta though is a different style using ricotta cheese instead of cream cheese it gives a softer texture to the cheesecake. 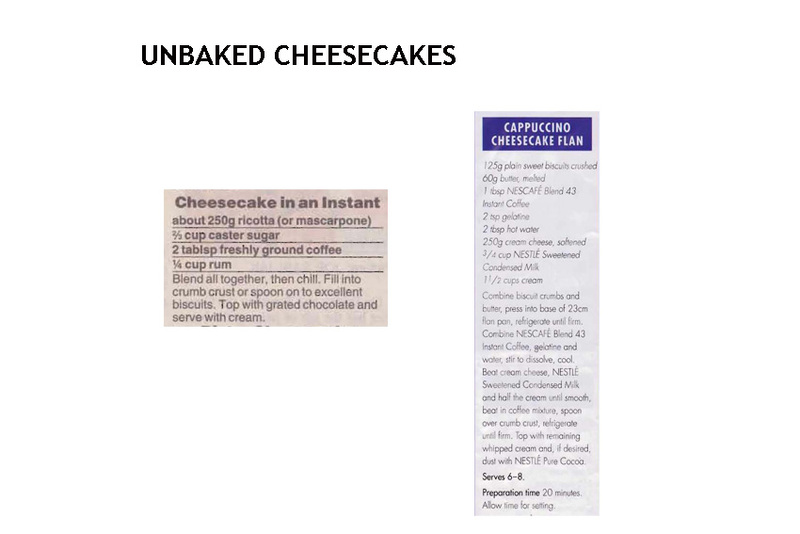 Among Mum’s recipe cutouts I found an article on Cheesecakes. 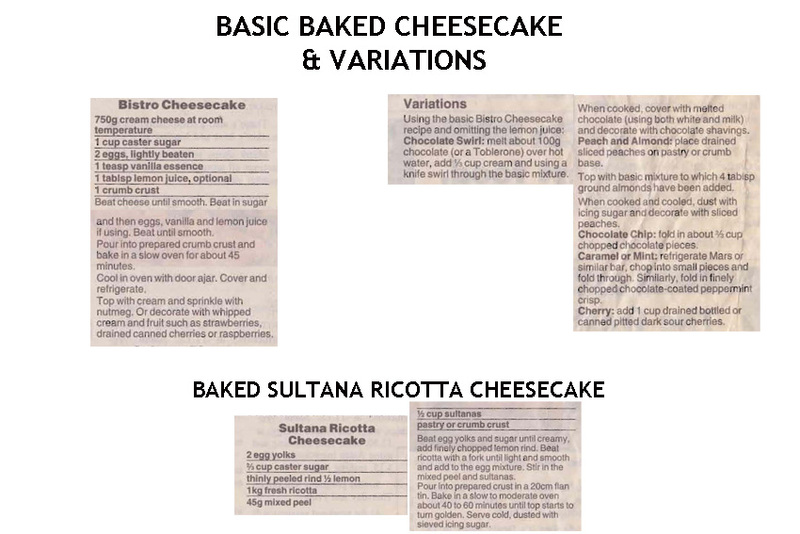 It has four different types of bases, unbaked cheesecake recipes and a basic baked cheesecake with several variations. I’ve divided the article up and these are the bases recipes. I usually make the traditional plain biscuit one using Marie biscuits and occasionally the chocolate but I like the idea of having all four on the one page, it saves having to look them up.